The nationwide outrage generated byhighly discriminatory SB1062 shined a harsh light on the Arizona Legislature and on the bill’s creator– lobbyist Cathi Herrod and her non-profit political group, the Center for Arizona Policy. With 123 Center for Arizona Policy bills becoming law, Herrod and her fundamentalist Christian organizationhave been highly influential have beenway too powerful in the the Arizona Legislature for years. (Details here.) Herrod is such a fixture at the Capitol that “admirers and foes alike refer to as Arizona’s 31st senator,” according to AZCentral.com. The Center for Arizona Policy’s successes haven’t demanded big spending on lobbying and campaigns. In 2011, the center spent $17,983 on lobbying efforts, according to tax documents. Herrod in 2013 spent $9,878 on lobbying, according to state lobbying documents. 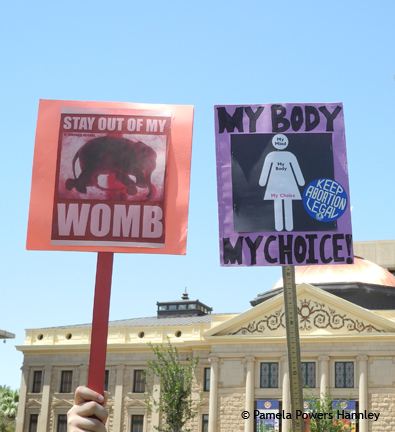 That included paying $2,411 each for Sen. Steve Yarbrough, R-Chandler, the sponsor of SB 1062, and Sen. Nancy Barto, R-Phoenix, who has sponsored a number of the center’s abortion-restriction bills, to attend a center conference. AZCentral is not the only entity to be looking at Herrod’s financial records. Lefties also are interested. From Facebook, a look at Legislators receiving “employee compensation” from the Center for Arizona Policy. (I thought they worked for us.) Some have suggested that this entry may have been an data entry error, which should have been caught by the Secretary of State’s office. Let’s see. Who was Secretary of State in 2008? That’s right– Jan Brewer. Nancy Barto, Tim Bee, Andy Biggs, Adam Driggs, Mark Anderson, Ray Barnes, Doug Clark, Rich Crandall, Sam Crump,, Kirk Adams, Jim Weirs, Eddie Farnsworth, Linda Gray, John Huppenthal, Jack Harper, Al Melvin, Bob Stump, Rob Robson, Jerry Weiers, Jim Waring, Ron Gould, John Kavanagh, Andy Tobin, Rick Murphy, Lucy Mason, Nancy McLain, Gary Pierce,. Russell Pearce, Frank Pratt, Carl Seel, Debbie Lesko, Bob Burns, Steve Court, Cecil Ash, John McComish, Barbara Leff, Trish Groe, Jeff Hatch-Miller, Dean Martin, William Mundell, Warde Nichols, Chuck Gray, Thayer Verschoor, and Doug Quelland. …So that brings us to the relationship between Cathi Herrod’s advocacy group and the Republican dominated Arizona Legislature. Nobody disputes that Herrod’s organization authored SB1062. Herrod is a registered lobbyist. As such, she is required to file reports on her spending for government officials. Her reports for the third and fourth quarters of 2013 show minimal activity. Going back to when the legislature was in session, the second quarter of 2013, you find one non-itemized (beneficiary not named) expenditure for $467.01 and 37 individual expenditures, mainly for state lawmakers, ALL Republicans, for food and beverage entertainment. The least expensive was $85, the most expensive, $340 for Senate Education Committee chair, Kimberly Yee. House Education chair Doris Goodale was second highest at $255. By the way, Superintendent of Public Schools John Huppenthal is on that list too, coming in at $85. Of course, other than hating on the LGBT community and fighting women’s health care choice, education is one of Herrod’s top issues. She’s big on homeschooling and, of course, enriching Steve Yarbrough by way of STOs (School Tuition Organizations, which divert taxpayer donations away from the General Fund and therefore away from public education). Herrod’s first quarter 2013 report shows one non-itemized expenditure for $1414.12. Two other expenditures, each for $2411, benefited Steve Yarbrough and Nancy Barto. Barto chairs the Senate Health and Human Services committee, through which all of Herrod’s legislation aimed at women’s health care choice must pass. What on earth could Cathi Herrod have spent more than $2,000 each on Yarbrough and Barto to do? Why has the largest newspaper in Arizona not questioned either Herrod or Yarbrough or Barto about that? This is just what they’ve reported. We know that Yarbrough has been personally enriched as a result of legislation favorable to CAP, to the tune of more than $700K just in one year. Who knows what other money may have changed hands. Two of the three senators who apparently KNEW before they cast their vote on SB1062 and were the first three to speak up about their regret — Steve Pierce and Adam Driggs — are on multiple CAP lobbying reports. The bottom line here folks is that any of the legislators who paid ANY attention KNEW what they were voting on before they voted. And they KNEW it was wrong. They were, however, caught in a net from which they could not escape until it was too late. Where does this leave us? We have a way-too-powerful NON-PROFIT lobbying group who writes anti-gay, anti-equality, anti-woman, anti-public education bills, anti-worker bills and bribes pays legislators to come to Christian conservative conferences and dinners. And voila… the bills are passed. Apparently, Herrod is really good at the art of persuasion, or at least that’s what mainstream media outlets want us to believe. I have only one question: Why does the Center for Arizona Policy have non-profit status, when it is obviously a lobbying firm? Remember the IRS “scandal” from last year when we learned that the IRS was investigating groups that claimed to be non-profit but weren’t? Obviously, the Center for Arizona Policy’s non-profit status should be reviewed and changed. Special thanks to Steve Muratore and Lisa Hoffman research and information. At least Barto is main sponsor of SB 1044 where AHCCCS will finally cover Chiropractic services for poor people. I’m one of ‘millions’ with serious back pain that Chiropractic may finally help. Why aren’t the Liberals out in the street supporting this Senate Bill????????????????????????????????????? If you’re poor and on AHCCCS, why aren’t you a liberal? This post has been updated with new information about the 2008 “employee compensations” paid to Arizona Legislators. Connect the dots. Why does the Center for Arizona Policy have a non-profit tax status when it is clearly a lobbying group?